-COOKIN’ and HOOKIN’ UP! : Online Cooking show, six episodes. -Sticks and Hairs: Yes! I can use the old traditional ways of pencils and brushes. I can do that, without a computer. It’s all about the fundamentals! -Canon Cameras: C100 and C300 Cinema Cameras. All DSLR editions. Along side an assortment of additional audio and visual applications and gear to support the needs of the production. Full production team management from Makeup to Lighting. My current focus is on Transmedia where my studio, ENTERMERCE TRANSMEDIA, has been facilitating services in the categories of Intellectual Property Development and content for Publication, Video Production, Music Videos, Commercials, Educational Series, Reality Shows, Behind the Scenes and EPK. We also supply Visual Effects, Rotoscoping, Keylight, Filters, Graphic Animation, Color Correction. Photography, Illustration, Digital Color, Matte Painting, Design and Education. Find our most recent commissioned works in my video and photography sections of this site. 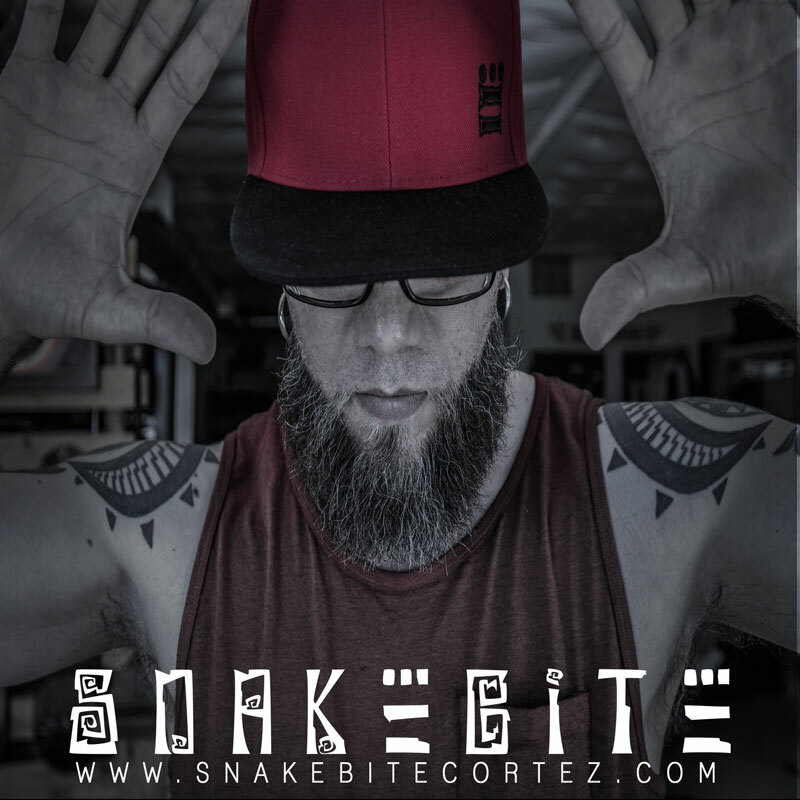 Snakebite Cortez is a Bridger of Worlds, a Transmedia Specialist with over two decades’ experience in the many creative fields of transmedia. He has brought his unique skill set and award-winning aesthetic flavor to bear on projects for a diverse clientele ranging from Dreamworks Animation to DC Comics, Von Dutch to VH1. Multi-media artist by trade focusing on transmedia development. He is also a highly regarded teacher, having shared his knowledge of Photoshop and The Business of Art both on staff at The Animation Academy in Burbank, California and has been an occasional guest lecturer at high schools and colleges around Southern California. He is a five-time nominee for the prestigious Eisner Award in recognition of his outstanding color work in the comics industry, and he was an integral part of the team on the groundbreaking animated video for KORN’s “Freak on a Leash,” which earned a Grammy as well as MTV Video Music Awards. More recently, he served as Background Painter on the acclaimed animated series “G.I. Joe: Resolute”. In addition, his work has won awards at the ANISE International Film Festival and the Chicago Television Festival, and has been recognized by the Academy of Television Arts and Sciences. 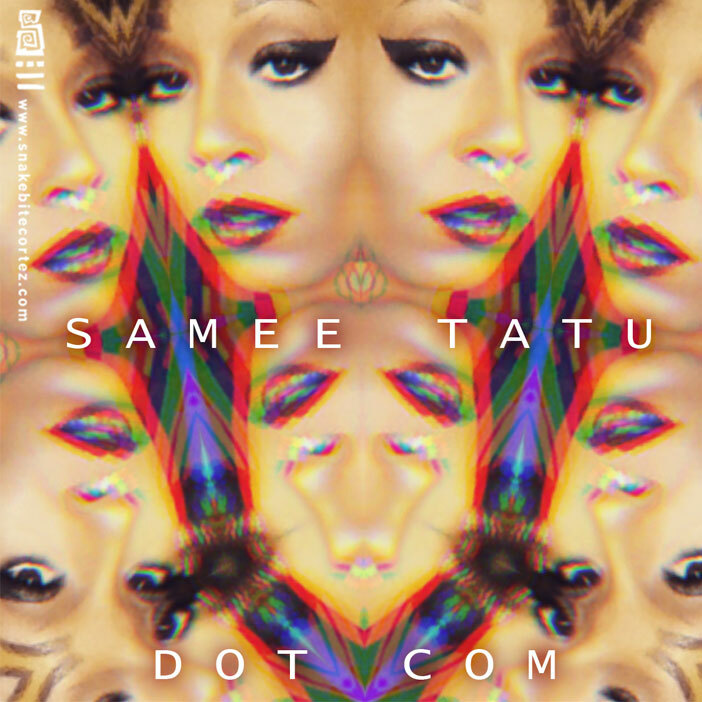 Currently focusing on Transmedia Development for clients as well as original content with his partner Samee Tatu. -Director, Videographer/Editor, Photographer, Traditional and Digital Artist, Designer, Educator and Collaborator.